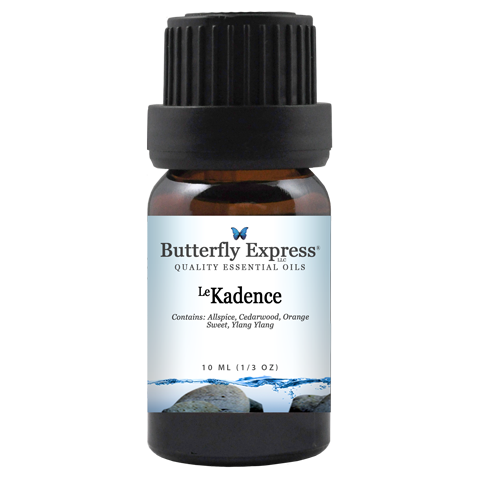 LeKadence improves the uptake of nutrients to the brain and nervous system. It can help alleviate exhaustion in whatever form it has taken in the body and mind. LeMoonlight is a potent aphrodisiac. It sets a mood of connection to and appreciation for your romantic partner. It also helps to create emotional depth and bonding. LeNoMore is used mainly to disinfect and prevent mold growth. This blend is also effective against such nasties as athlete's foot and toe nail fungus. Dill supports pancreatic functions, helping to normalize glucose and insulin levels. As glucose and insulin stabilize, energy levels remain steady. Elemi makes a wonderful addition to blends intended for skin care and rejuvenation. Elemi can be used to treat allergic rashes, chapped skin, skin ulcers, and wounds. Lavender can be used for nearly all skin conditions. It can be applied to cuts, sunburns, burns, rashes, dermatitis, eczema, and insect bites. Consistent use can help minimizes scarring. EMOTIONAL / SPIRITUAL / MENTAL ASPECTS: LeTomorrow is used in emotional work to bring the focus from the past to a happy anticipation of the potential of the future. LeTomorrow helps one to find calmness and joy in the challenges of everyday living. It is useful during the changing seasons of our lives to help us maintain emotional stability. One of the most pleasing aspects of this essential oil blend is the desire that it creates within us to forgive and love others more unconditionally. I find that this blend helps people leave the past behind while attaining wisdom and acceptance. EMOTIONAL / SPIRITUAL / MENTAL ASPECTS: Blue tansy, like other oils containing chamazulene, regulates the flow of vital energy throughout the body. As the flow of energy in the body travels more freely, a feeling of peaceful solitude is created in our minds and heart. We are better able to handle stress, and feel less threatened and overwhelmed. We feel more gratitude for our health and our families. Blue tansy increases our creativity, productivity, and desire for achievement on many levels. "To win without risk is to triumph without glory." "Insist on yourself. Never imitate." Dandelion would be the herb of choice—or should be added to a formula—if a mild liver, gallbladder, or glandular system cleanse and rebuild would be beneficial. Dandelion is particularly effective when the stress to the kidneys is related to chemical or toxic metal poisoning or detoxification. Dandelion acts in the capacity of a blood cleanser as well as a diuretic. Dandelion removes obstructions from the liver, spleen, pancreas, gallbladder, bladder, and kidneys, making it a very useful herb. Dandelion, while considered a noxious weed by most people, is honored by herbalists and those who know of its tremendous nutritive value. Because Dandelion increases the flow of bile it greatly enhances the absorption of the vitamins and minerals that it contains. Dandelion is very high in vitamin A. (For a list of vitamin A deficiency ailments, see the section titled “Subclinical Malnutrition.”) Dandelion also contains a wide spectrum of B vitamins, iron, and a whole list of other minerals in proper proportions that are easily absorbable. Many herbalists consider Dandelion to be specific (and amazing) for both hypoglycemia and diabetes. Michael T. Murray says that Dandelion may act as a buffer to blood glucose levels, thus preventing sudden and severe fluctuations. Black cumin (Nigella sativa) oil is sometimes referred to as an essential oil because of the methods by which it is produced and the size of its molecules, but it is more properly classified as a carrier oil. Black cumin is variously called fennel flower, nutmeg flower, Roman coriander, black caraway, and just plain blackseed. The plant is, in fact, not a cumin at all! Scientific research into the individual components of this oil indicate that it protects from histamine-induced bronchial spasms, explaining its use both internally and as a carrier oil for asthma, bronchitis, and coughing. Black cumin is used for rheumatism and related inflammatory diseases and to increase milk production in nursing mothers. Black cumin makes an excellent carrier oil for skin conditions such as eczema and boils. Two numbers measure blood pressure. The systolic represents the pressure against your arteries when your heart is pumping, and diastolic represents the brief resting period between pumps, as the heart fills back up with blood. The average range is when the systolic pressure is between 120-80, and the diastolic is between 80-60. Anything outside of these typically is classified as high or low blood pressure. Having high blood pressure usually has no symptoms day to day but creates an increased risk of stroke, heart attack, macular degeneration, and heart or kidney failure. As we age, a gradual increase in blood pressure is expected, however, preventative measures will keep your circulatory system healthy. Of course, there are alternative remedies that can both prevent high blood pressure and set things to rights when circumstances have created a spot of trouble in your life. The National Heart, Lung, and Blood Institute recommends the DASH diet which supports a well-balanced diet and getting plenty of exercise. Their recommendations are good advice. However, there are some issues that need to be addressed. A diet rich in fruits, vegetables, and whole grains is necessary for good health. Doing this means avoiding highly processed foods and getting good sources of protein and fats. Eggs, nuts, legumes, yogurt, moderate amounts of meat, and fish are excellent sources of protein. Fats are also a necessary part of a healthy diet. Healthy fats include coconut oil, grass-fed beef, avocados, dark chocolate (yes I did say that, remember moderation in all things! ), eggs, Greek yogurt, wild salmon, and olive oil. These oils will help reduce high blood pressure and soften arterial walls as well. Try to avoid the processed sugars and treats, as these add calories (and blood sugar) but provide no nutrition. It is nice to know, though sometimes overwhelming, that our bodies are put together in such a way that every system works in sync with the others. So in taking care of the urinary system, there will be benefits to the cardiovascular system and vice versa. Keeping the liver healthy improves the skin, and cleansing our colons affects our mood! So, also, do the kidneys affect the heart. I tend to repeat the notion that our appetites will determine our health due to this. In fact, when dieting, your actual diet is about 80% of the work of weight loss, whereas exercise is the remaining 20%. My mother always said as I was growing up, “Make your dinner plate colorful.” meaning that a variety of vegetables is better than only one. For example chicken fried steak with mashed potatoes and carrots with coleslaw. Grilled chicken, corn on the cob, and salad. Cooked eggs with peas, avocados, and tomatoes. Another tip for lowering blood pressure comes from the common saying, “laughter is the best medicine”. Stress and tension can cause the blood vessels to constrict and tighten, thus raising blood pressure. Laughter releases good endorphins and has many other good effects on our bodies. A regularly happy person is less likely to have high blood pressure. Plenty of rest, relaxation, baths and massage with essential oils will also help counteract the effects of stress throughout the body. More about essential oils and blood pressure in a moment. The heart is closely related to our kidneys, and kidneys are the area where fear shows itself. Have you noticed that people with heart problems also have kidney issues? Also, individuals who feel a lot of anger are more susceptible to higher blood pressure. Reduce stress, or learn to manage it better, to lower hypertension, and you will find this increases stamina and energy. Other body systems concerned and involved with the regulation of high blood pressure include the pineal gland (which requires sunlight to function properly), the hypothalamus, the adrenal glands, and the pancreas. Herbals for blood pressure issues are black and blue cohosh (hormone levels among other things), astragalus (increases heart endurance during stressful times), cinnamon (circulation), cramp bark (hormones), dandelion (liver), feverfew (nervine, anti-inflammatory), hawthorne (discussed below), hyssop (stimulant and sedative, as needed), ginger (just about everything), garlic (reduces the tendency of blood to form clots and dilates veins and arteries), ginseng including Siberian (stress related spikes, urinary, cardiovascular, fatigue states), motherwort (temporary relief while diet is being adjusted), saffron (kidney), nettles (nutrition), Oregon grape (glandular system and nervine), and passion flower, skullcap, and valerian (nervous tension). The AD formula may also be helpful because it supports the adrenal glands. Vitamin A has also proven useful. Please be aware that each of these herbs has great qualities and pages could be written about each one. It is always a good idea to do a little study rather than blindly self-medicating. Taking herbs in their whole form is always the best. Vitamin A formulas - AD (because it supports the adrenal glands), BBL, BP. The BP herbal formula, by filling in the nutritional holes and strengthening the cardiovascular system as a whole, has assisted in lowering high blood pressure in the vast majority of people who gave it an honest trial. I believe that this tincture aids the body in lowering blood pressure by providing concentrated amounts of nutrients that have probably been in short supply in the body for a long time. If the situations that created the nutritional shortages are not addressed, taking BP will be a bit like pouring these nutrients into a bucket with a hole in it. It may take a long time to fill the bucket, if you can do it at all. The addition of garlic, hawthorn, and cayenne will speed results along. HVC, in the recipe section of the Herbal Remedies Book is an excellent way to get more cayenne. Hawthorne is such a wonderful herb for cardiovascular related issues that it deserves a separate mention. In fact, pages would not be sufficient to praise hawthorn where cardiovascular health is concerned. Nevertheless, I will keep these remarks to just a few observations. There is a government agency in Germany, Kommission E, that is responsible for setting standards for the safe manufacture and usage of herbal medicines. They claim that hawthorn is useful for heart insufficiency because it strengthens heart contractions while lowering blood pressure and pulse rate. Further, they credit hawthorn with giving the heart an increased capacity to continue functioning in low oxygen conditions. Clinical trials have shown hawthorn to be of benefit with elderly patients with no specific heart conditions except gradually declining heart function overall due to age. A four year study, also done in Germany, found that hawthorn improves contractions in the veins and heart, improves circulation to organs and muscles, lowers blood pressure, improves fatigue and endurance, relieves difficult breathing, and decreases the number of angina attacks. Several Chinese clinical trials have reported that hawthorn lowers cholesterol and triglyceride levels and has a calming effect on the central nervous system. There is an interesting thing about herbal, and other, alternative remedies that should be noted. Natural remedies such as herbs and essential oils work to bring the body to a state of homeostasis, or optimum and normal function. In practical terms, this means that most often you would use the same herbal remedy or herbal formula to stabilize a hyper- sort of condition as you would use with a hypo- situation. That means that the same herbs will likely be of assistance whether you are trying to reduce high blood pressure or raise low blood pressure. A wonderful side note of the amazing property is that, when working with high blood pressure, it is almost impossible to take the blood pressure too low with herbs; that would be a side-effect of a drug being utilized at the same time. Essential oils have been a great help in working with cardiovascular issues and with blood pressure in particular. There are essential oils, and essential oils formulas, that have a beneficial effect on both the physical aspects and emotional drivers of blood pressure issues. It has been an education to realize how often stress, grief, anger, fear or other emotions were tied very closely struggles with blood pressure. The following is a list of some of the single essential oils and Butterfly essential oil blends that have shown themselves to be of use for blood pressure problems over the years. Singles: anethi, hyssop, rosemary, thyme, ylang ylang, peppermint (stabilizing fluctuations/homeostasis—hyssop is best used in a blend formula), dill (blood sugar related), dong quai (with blood vessel issues), golden rod (nerves, cardiovascular, and kidneys), lavender, lime, litsea cubeba, vanilla and many others (tension and stress related issues), Oils containing chamazulene (blue tansy and German chamomile) and the blends which contain these oils are very helpful in raising blood pressure that is abnormally low. Butterfly blends: Angel (emotional), Benediction (taking on other people’s energies and stresses), Discernment, Faith, Grace, Key to My Heart (decision making and other emotional stresses), Intention (citruses and vanilla to both uplift and calm the nervous system), and Vitality (#1 formula for physical aspects and issues). Because the limbic system is directly connected to those parts of the brain that control the autonomic nervous system, essential oils can have profound physiological and psychological effects. The autonomic nervous system controls the heart rate, blood pressure, breathing, memory, stress levels, and hormones. Aromatherapy is a great way to work with blood pressure issues. We all want to do better, achieve more, be stronger, but remember that a higher score in regards to blood pressure is not a good thing! Ha ha! Now you are already on your way to lowering your blood pressure. Keep smiling!